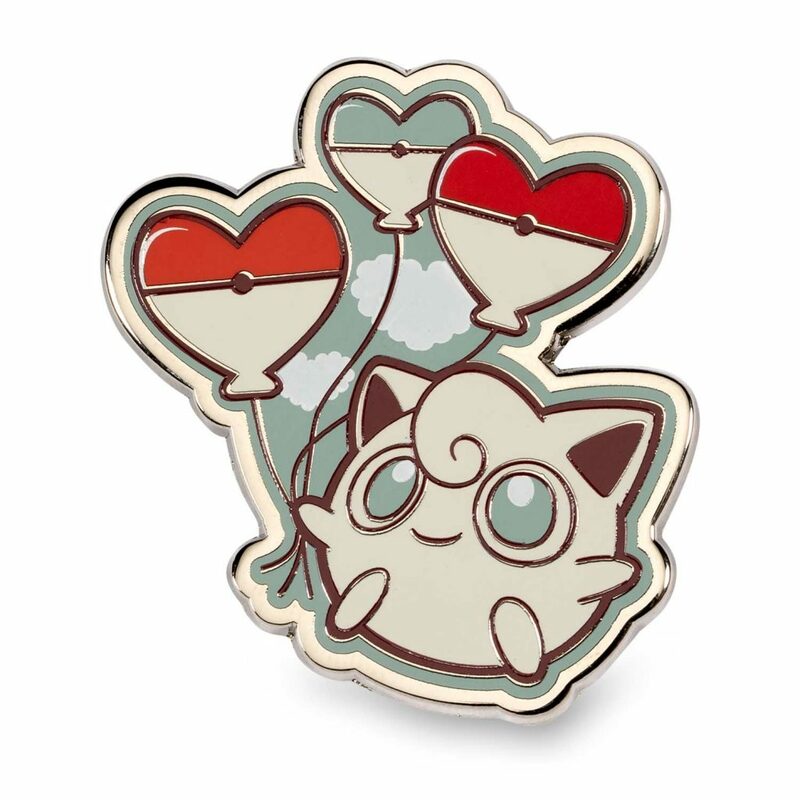 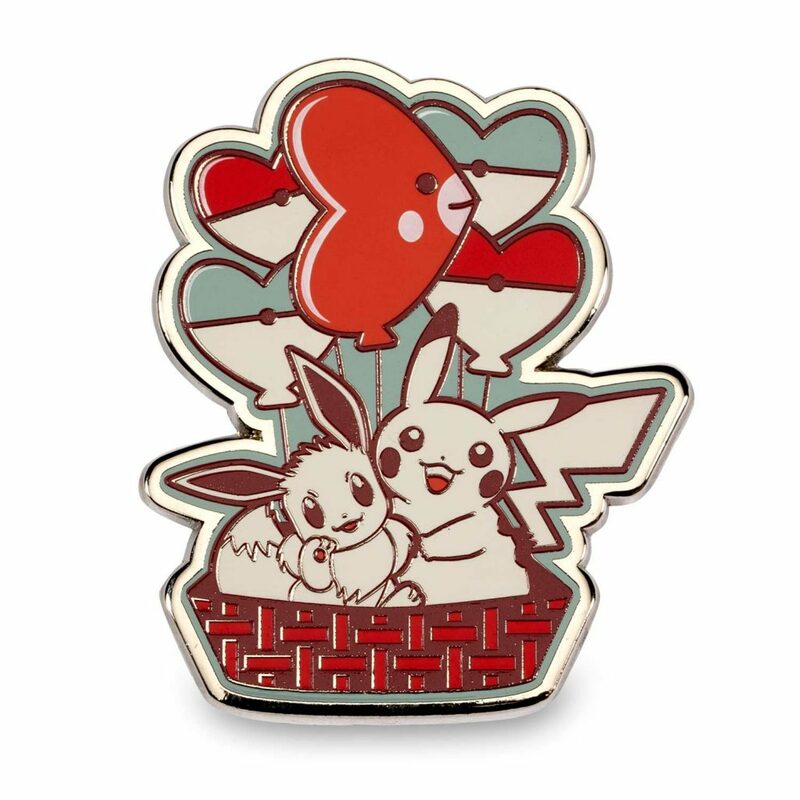 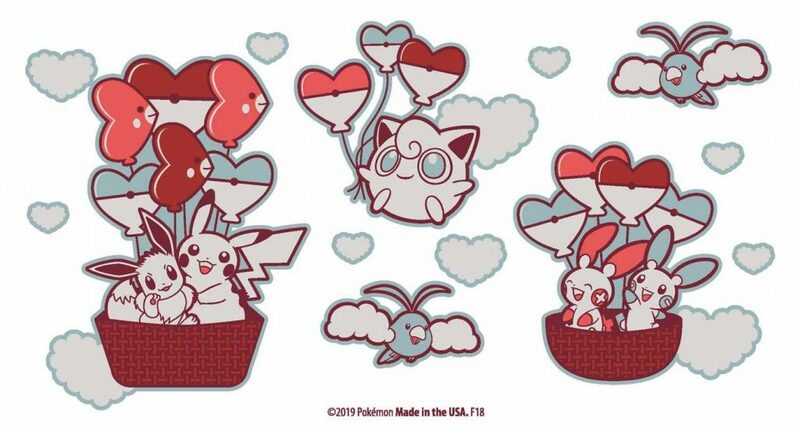 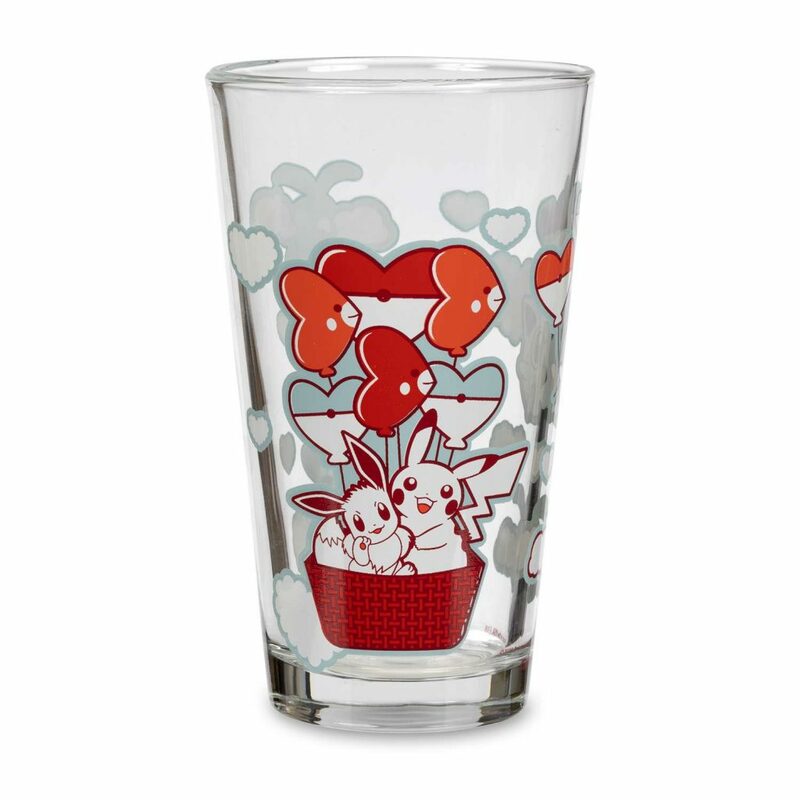 A new collection titled “Hearts Take Flight” has been added to the US Online Pokémon Center. 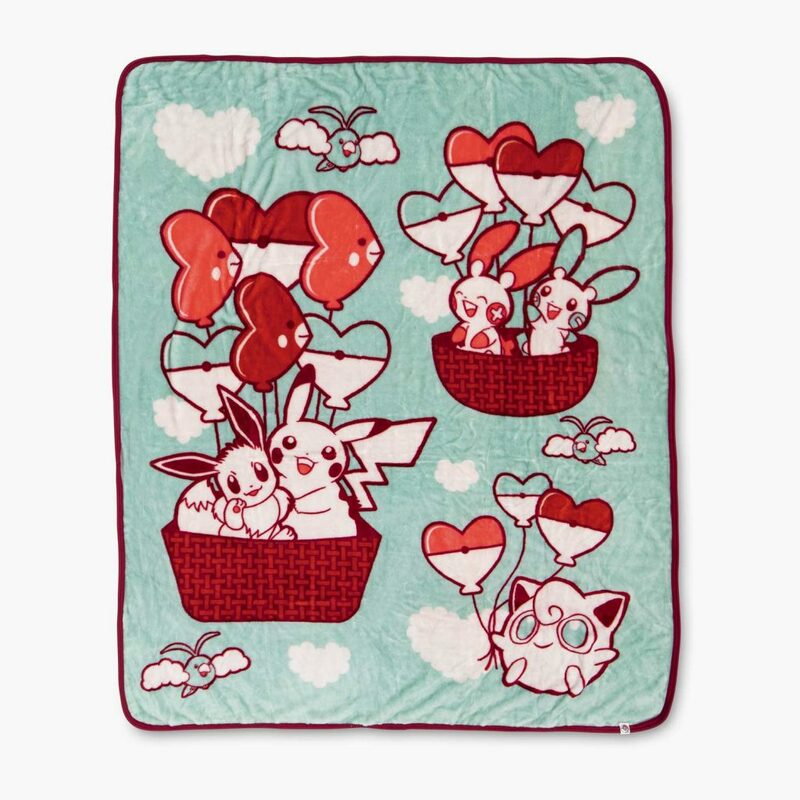 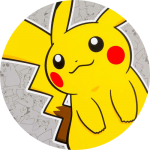 The merchandise features Pikachu, Eevee, Luvdisc, Jigglypuff, Swablu, Plusle, and Minun. 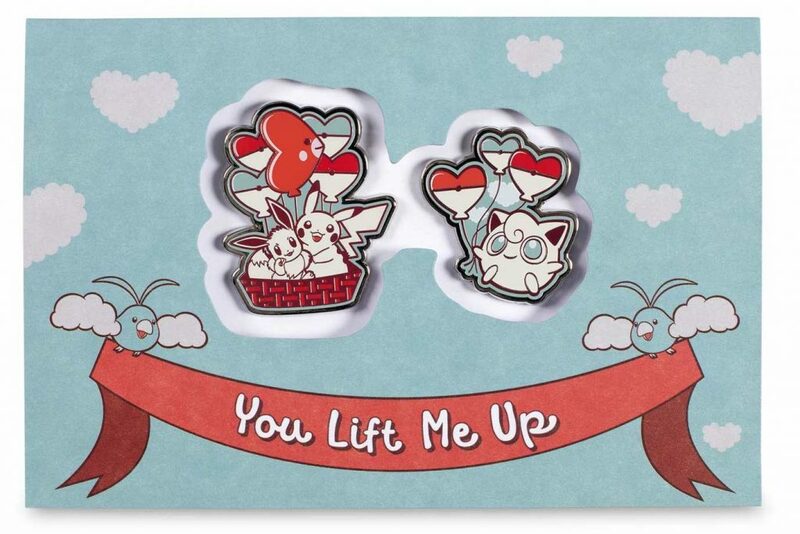 So far there are three items in the collection: a fleece blanket, glass cup, and greeting card containing two metal pins.